Super cul-de-sac area; Terrific 4 bedroom home located on a corner lot that is with fully new fenced with a large new driveway (2 car garage + European Style Carport to park additional 2 cars. House was fully Renovated in 2012. Spent $150K. Eng. Hard Wood flooring, New Appliances, New Lighting (Inside and outside) Granite Counter-tops (Kitchen and Washrooms), New Paint, Pex piping and plumbing all updated, Great Media room, Sun Room, Gym Room. Front deck recently updated with new vinyl and aluminum rails. Roof Age: 14 years. Private Yard, Green House and 2 storage sheds. Sprinkle System, Lighting in the Garden, Mountain View, Great Neighbouthood.Pride of ownerships shows throughout. Schools and Public Transports few blocks away. This property for sale has been tagged by the seller as close to Coquitlam, Maple Ridge, Port Coquitlam, Port Moody, British Columbia. 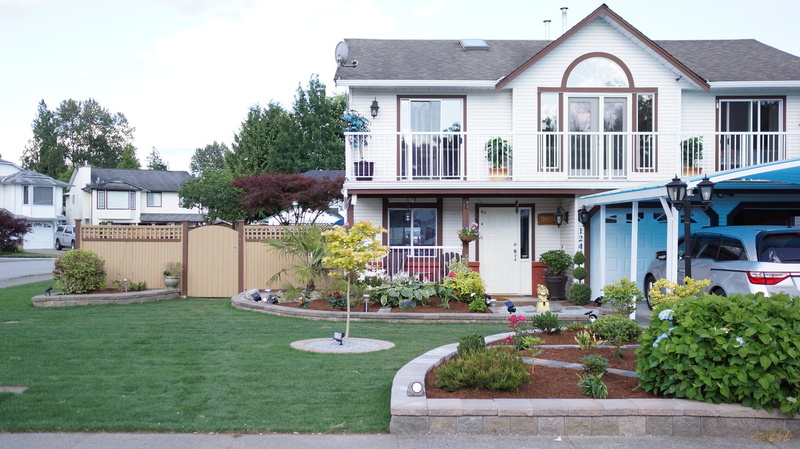 Thank you for viewing this For Sale by Owner property in Pitt Meadows, British Columbia.